Home Blog When Keto Dieting: Eat This, Not That! When Keto Dieting: Eat This, Not That! By now you’ve probably heard about the ketogenic diet – it’s been a pretty popular subject in the fitness industry for awhile now. In short, your diet consists of mainly fats, a moderate amount of protein and almost no carbs. Eventually your body will transition from using glucose (carbs) as energy, to burning ketones (fat), which helps you lose weight. Now that you know the basics, let’s discuss the foods you can eat to maximize the ketosis state. We’ve put together a list of keto-friendly foods by category to help you get started on your ketogenic diet journey. Most fruits are off limits when you’re keto dieting, but small amounts of berries are okay. 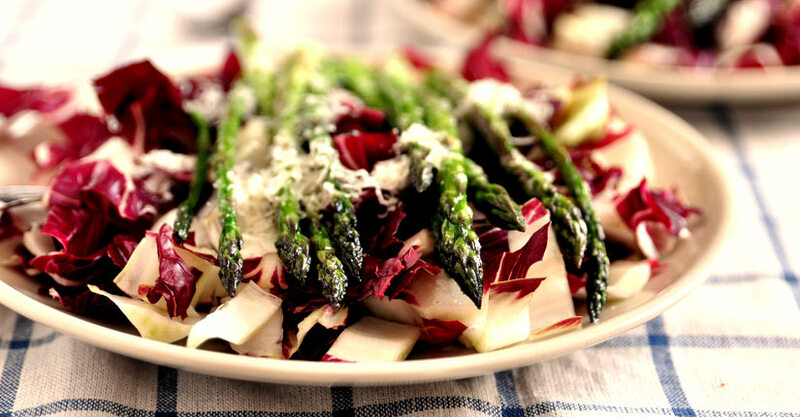 For vegetables, go for leafy greens and avoid the root veggies to keep your carbs low. 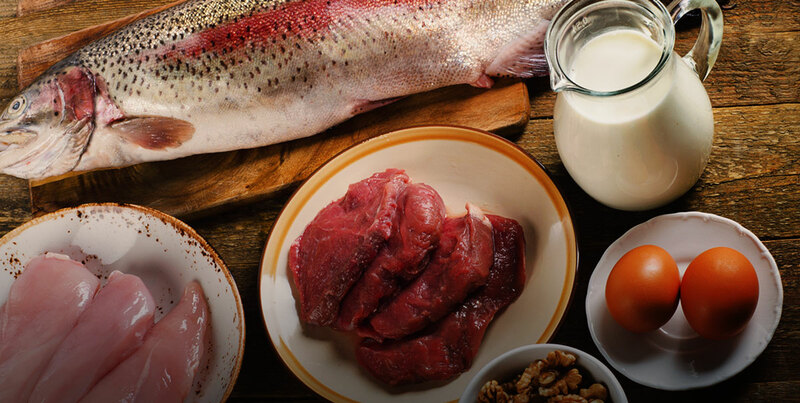 Fish is lean and a healthy source of protein and seafood is a super nutrient-dense food, so for your daily moderate protein intake, fish is a great idea when keto dieting. Nuts are delicious as a snack and full of omega-6 fats, but you should be careful since it’s easy to overeat them. Note that they count as a carbohydrate when keto dieting. When keto dieting, make sure you experiment with fresh herbs and spices to add more flavor to every dish. Aside from your go-to salt and pepper, try basil, curry powder, cumin, nutmeg, cloves, tumeric, cilantro, chili powder, rosemary, thyme and ginger. If you find that you have less energy in the first few weeks of starting your ketogenic diet, or you have difficulty focusing, don’t panic. These symptoms are common as your body adapts to a new way of fueling up. Pre-keto diet, your body would burn carbs for fuel and energy, but when dieting it will start getting its energy from fat. This is why you may feel a bit lethargic. To help with that, especially if you’re working out regularly, try BPI Sports BEST PRE WORKOUT™. This pre-workout supplement will help you counteract the challenges of the first few weeks. You’ll have more energy, you’ll find that you can exercise more intensely at the gym, save muscle mass and have more mental clarity and focus. BEST PRE WORKOUT™ boasts the organic compound beta-hydroxybutyrate (BHB) in sodium, magnesium and potassium in salt form. Ingesting BHB has been shown to raise blood ketones levels for two and a half to three hours after ingestion, so there’s a substantial decrease in your need for oxygen after taking BHB salts. With BEST PRE WORKOUT™, you’ll be able to perform your workout routine at a greater level during that window.